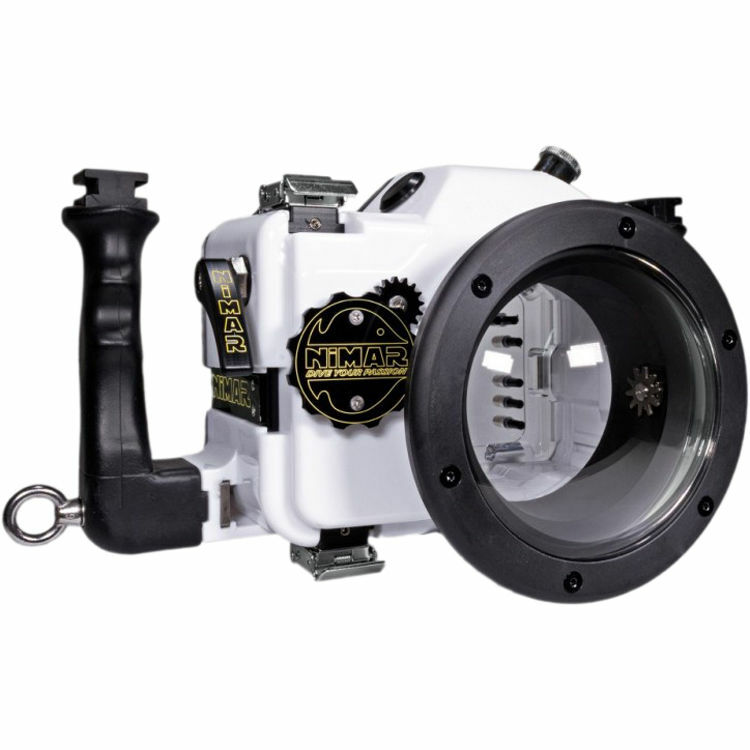 You can capture brilliant images at depths as great as 197' with your Nikon D300 DSLR camera, thanks to this dedicated Underwater Housing from Nimar. It features a moisture alarm that alerts you in the unlikely event of a breach in the waterproof seal. A manual, 5-pin Nikonos bulkhead connector enables the attachment of optional external strobes via sync cords. Mechanical push-buttons, dials, and levers afford access to most camera functions, while ergonomic grips improve handling and provide attachment points for optional lighting arms. A removable eyepiece helps you compose shots through the camera's viewfinder. The housing ships without a required lens port, and accepts various interchangeable ports for a broad array of different lenses. For complete compatibility details, see the list below. Built for durability, the housing is crafted from corrosion-resistant polycarbonate, which is white on the front, sides, and top, but clear in the back to allow you to monitor the camera and O-ring seal. Stainless steel latches with safety clips ensure that the enclosure stays shut during your dive. Box Dimensions (LxWxH) 11.3 x 11.3 x 8.1"